Another weekend, another competition! 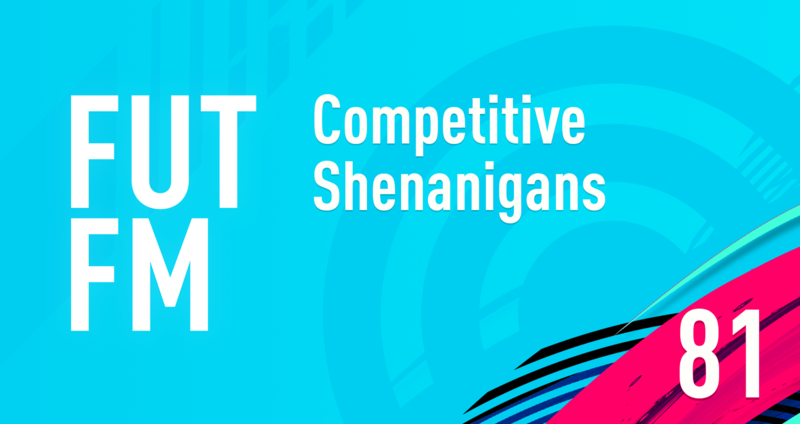 Tune in to find out what went down during the latest FIFA 19 weekend qualifiers. Weekly qualifier events for FUT Champs verified players of course! Here’s how things went down for Valerio. When you’re competing, you’re going to do everything you can to win. FIFA’s no different. In his first match, Valerio comes up against a French player who holds the ball with his back line for 15 in game minutes at a time. If you think that’s frustrating, know that our V-dog took the league and then conceded a kick off goal immediately. Yep, it was just one of those days! One interesting thing to note is that at this high level of FIFA, certain aspects of the game’s mechanics become more apparent. There were several instances in which Valerio couldn’t score from inside the box, but many times he scored just fine from long range. It would seem that aiming is much less of a necessity when you’re shooting from long range in FIFA 19, but you have to be much more careful when inside the box. The fact that you can score without thinking from a tough angle and distance while having to be super precise from short range is a bit of a logical leap. Surely there should be design consistency between various types of shots, right? Valerio played in the Western Europe bracket, but the weekend had a player from Kuwait as well. The bracket was accidentally deleted! That’s right, the tournament came to a grinding halt and had to be continued another day as a result of this error. Honestly, you can’t even get mad at that, it’s just too funny. Anyway comrades, that about sums up this weekend. Valerio was able to get CR7 for his team after sacrificing the likes of Suarez, Kante, and others. But we’ll have a more in depth discussion on him and some surprising players on the next episode! Don’t forget to subscribe to FUT FM on Apple Podcasts/Google/Spotify so you don’t miss the latest episode, cheers.